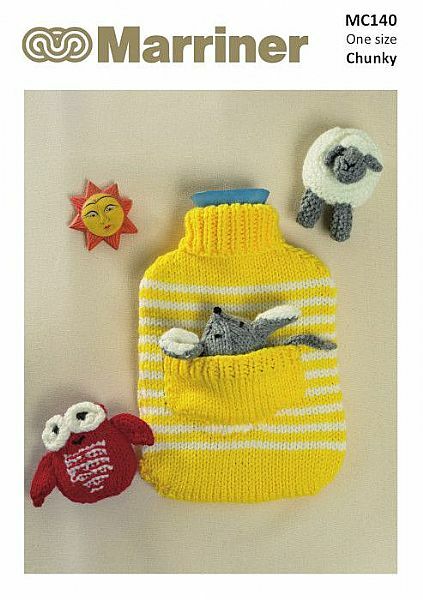 A striped hot water bottle cover with a front pocket and 3 additional animal friends to knit too. This was knitted in our Chunky yarn in the colours Mustard and Cream with assorted colours used for the animals. 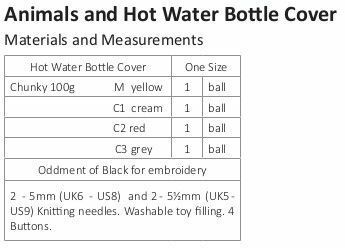 Hooks required A pair of 5mm (UK6 - US8) and a pair of 5½mm (UK5 - US9) Knitting needles. Washable toy filling. 4 Buttons.